It's been too hot to paint outdoors this week, so I've been busy cataloging my work in anticipation of my show at Glen Echo Park this coming November. (More details on that to come!) While doing this, I've run across a lot of pictures I painted before I started this blog. Here's one example. 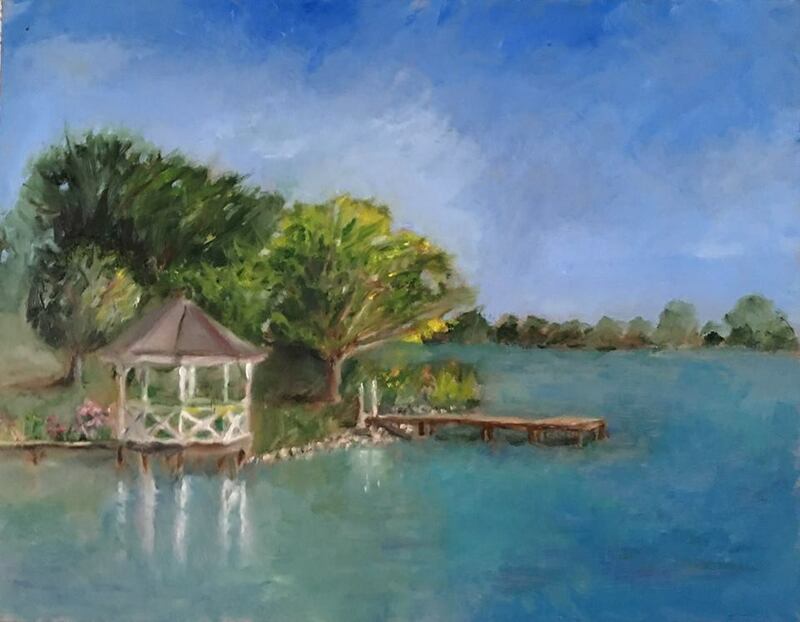 It's a painting of a gazebo not far from Rehoboth Beach, done in oil from the patio of my rented house over the course of two sweltering afternoons in 2016. In retrospect, it would have been stronger with the inclusion of a figure or two, but it still has charm. Geoff Watson, "Silver Lake Gazebo," oil on panel, 11" x 14," 2016.